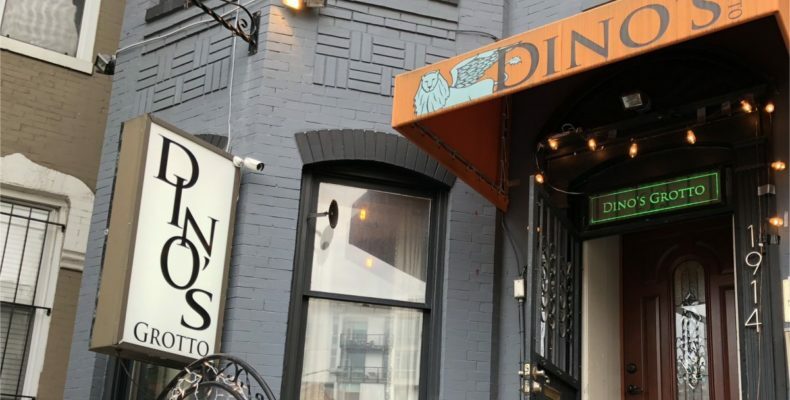 You can now watch Dean Gold, owner of DC restaurant Dino’s Grotto, online. He’s launched a YouTube channel for the Italian-inspired venue, and although he’s just getting started there are already several clips that should appeal to food lovers. His first is a three-video step-by-step guide to making a rissoto, and there are also clips revealing how he makes the spice rub for a porchetta dish, and also a clip talking about the arrival of new soft shell crabs. I interviewed Dean for Dining With Strangers in May last year, and had a great couple of hours learning about his colorful life story and also sampling his delicious menu. While I was eating, he explained every dish and every flavor and sensation that I should be experiencing, great for a kitchen novice like myself. Tune in to his YouTube channel for similar stories.